Designed to be played in two parts, THE QUIET MAN™ delivers an immersive story driven cinematic action experience seamlessly blending high-production live action, realistic CG and pulse-pounding action gameplay. 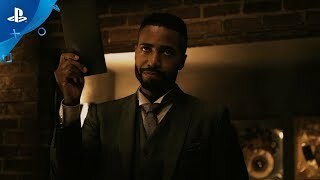 Unravelling within a single night, players take the role of deaf protagonist Dane as he fights to discover the motives behind the kidnapping of a songstress by a mysterious masked man. 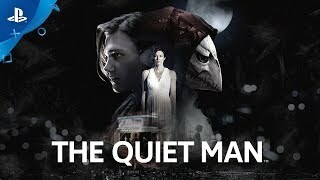 A free patch will be made available approximately one week after release, titled THE QUIET MAN – ANSWERED –, which will offer answers to the unique mysteries of THE QUIET MAN by providing another play through with sound and voices. Set in modern day New York City with an undertone of film-noir, players will wander the gritty streets of the city to trace the masked man behind the kidnapping. 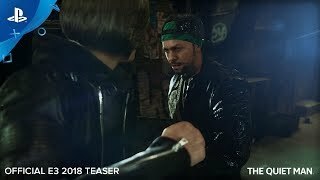 More than a chase against the mysterious masked man, players will come up against an infamous gang and experience Dane’s own battle with his internal demon known as “The Quiet Man”, who will be the ultimate mystery in the story. Embark on an adrenaline-fueled motion picture like experience, which players can enjoy in one sitting. Story by writers collective and comic book legends Man of Action Entertainment (creator/writer/exec producers of BEN 10, MEGA MAN: FULLY CHARGED, GENERATOR REX, and the team and characters of BIG HERO 6). Developed by Human Head Studios (Lost Within, Prey, Rune), with Tatsuro Koike (Yakuza series) as the Action Director. 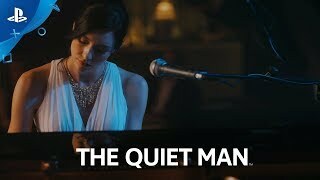 Theme song, “The Quiet,” performed by the talented Grammy-award winning artist Imogen Heap. The player not only controls Dane but also experiences the world in the way Dane does. As a deaf protagonist, the audio landscape of the game consists of soundless and muffled audio, leaving it up to the player to make their own interpretation— as the search for the masked man unfolds. In addition to high production live action, THE QUIET MAN™ features state of the art CG sequences, facial animations produced in partnership with 3Lateral, Cubic Motion and Human Head Studios to deliver stunning visual fidelity, strongly-felt emotions such as rage, joy and pain, and enables seamless transition and continuity between live action, engine cut scenes and actual gameplay. r to make their own interpretation— as the search for the masked man unfolds. Experience fast, visceral and adrenaline-fueled combat choreographed by Tatsuro Koike, renowned for directing the action in the Yakuza franchise. Simple on the surface, but with brutal combos, the combat system is easy to pick up like old school beat’em-up action games, whilst offering combat variation and thrill. Unleash an arsenal of combat moves ranging from punch and kick combos, to grappling and throwing enemies. Give stunned opponents a savage beat down or slam them into environment objects to set up brutal attacks. Defend yourself with split second dodges that can result in near misses and counterattacks. You play as a deaf character, Dane, and experience the world as the character does – with very little distinct audio and no subtitles: it’s up to you to make up your own interpretation of the story as your search for the masked man unfolds. The content of this videogame is purely fictional, it is not intended to represent or depict any actual event, person, or entity, and any such similarities are purely coincidental. The makers and publishers of this videogame do not in any way endorse, condone, or encourage engaging in any conduct depicted in this videogame.